Cunard’s iconic ship Queen Victoria, made her much-anticipated return to Southampton this week, showing off an array of stunning new features following a £34 million refurbishment. First-look photography released today reveals the fruits of Cunard’s labour, from large enhancements to the subtle details, impeccable care and diligence has been taken to ensure passengers are greeted with the ultimate luxury experience from the moment they step on board. 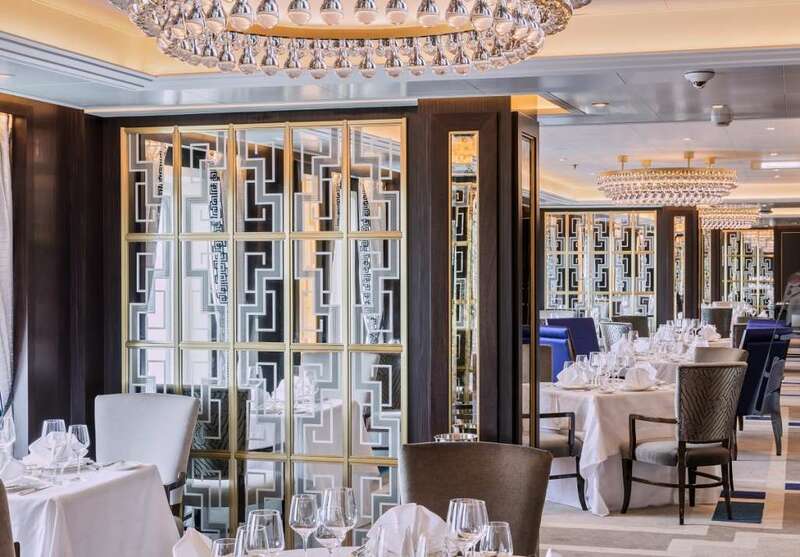 Exquisite interior design takes centre stage in the new Britannia Club Restaurant and continues to triumph within the new 43 spacious Britannia Club staterooms. Further enhancements on board include beautifully refined and redesigned Grand and Penthouse Suites, as well as a luxurious new sun deck offering space and tranquillity and a stunning enhanced Winter Garden. Every stateroom has been refreshed, including the installation of large flat screen TVs and much requested tea and coffee making facilites. The regal ship, which was taken out of service on May 5 to undergo the refit at the Fincantieri Shipyard in Palermo in Italy, will be returning to service in style today, setting off on a floral adventure to the Canary Islands, as part of a special Festival of Flowers voyage. Simon Palethorpe, Senior Vice President, Cunard said: “We’re delighted to welcome Queen Victoria back to her home in Southampton and reveal her new and refreshed features. “Having invested £90 million on Queen Mary 2 in 2016, this is a further demonstration of our commitment to delivering a luxury experience to our guests – something they have come to expect across our fleet. Our design and innovation teams have surpassed themselves – every fine detail and enhancement has been carefully considered to meet our guests’ needs and provide an incomparable cruise experience. This stunning lounge space has been extended to provide guests with additional deck space and access to the rays from sunrise to sunset. 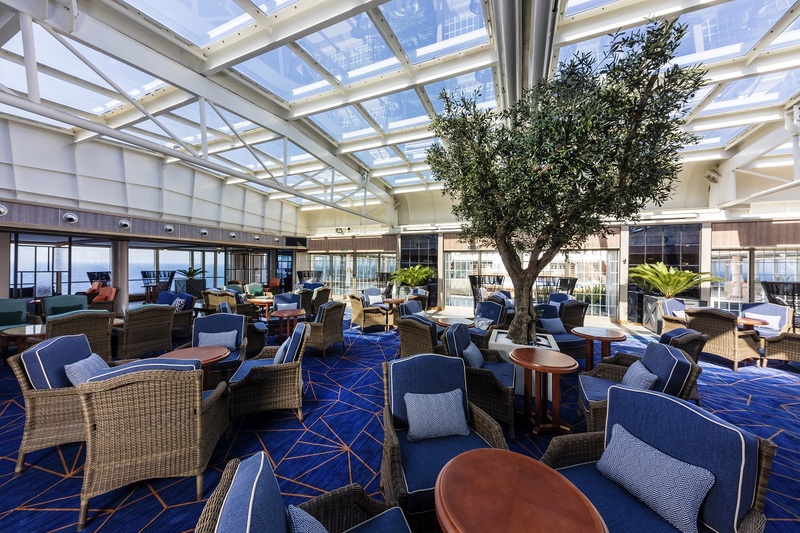 Windbreakers and additional sun loungers and luxury cabanas have also been introduced to accommodate sunseekers on board, while the shaded area has been extended for those looking to dine al fresco. Full beverage service is also available throughout the day and into the evening to enjoy alongside live entertainment. 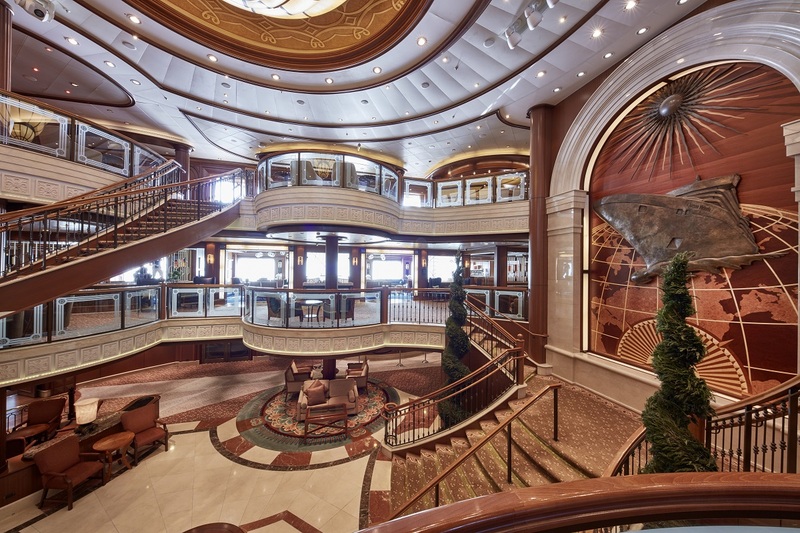 A beautiful room for relaxation located in the heart of deck 9. Guests can sip their favourite tipple on the elegant lounge furniture while looking out through the floor to ceiling windows at the stunning view. In addition, the comfort and décor has been further refined, with a statement floor and glorious glass canopy. In a prime mid-ship location on decks 7 and 8, all staterooms have been upgraded and refreshed with newly-designed carpets featuring a contemporary geometric design as well as the addition of new soft furnishings. New flat screen TVs and, by popular request, tea and coffee making facilities, have also been added to upgrade the stateroom experience even further. The additional 43 balcony staterooms will be further enhanced with premium balconies and a nine-pillow concierge menu to ensure maximum comfort for guests on board. The new Britannia Club restaurant has gone through a full interior re-design and will offer guests the flexibility to dine whenever they choose. Located in the space of the former chart room, the new restaurant will be built alongside the main Britannia restaurant on Deck 2. Five of Queen Victoria’s elegant Penthouse Suites have been completely redesigned to maximise space and luxury and raise the quality of guests’ experience even further. The new suites feature floor to ceiling windows and doors, private balcony with stunning sea views, additional storage space and beautiful bathrooms with luxurious whirlpool baths. With butlers and concierge also on hand to take care of your every need, the luxurious suites are among the finest accommodation available at sea. The Aquitania, Berengaria, Mauretania and Laconia Suites have been redesigned to maximize space, with similar square footage to those on Queen Elizabeth at approximately 1,436 sq.ft. Mirroring a luxurious residential apartment, refreshed designs include floor-to-ceiling windows and doors, a separate snug room with TV, beautiful lounge, master bathroom with sea views and dual aspect balcony, as well as a second bathroom and walk-in wardrobe, providing guests with supreme luxury and comfort whilst on board. A new concept introduced as part of the Queen Victoria refit, the Chart Room is located just off the Grand Lobby and will provide guests with illy coffee, Godiva chocolate treats and light bights by day, before transforming into a luxurious cocktail lounge by night, with delicious tipples whipped up by Cunard’s stellar bartenders.